When the body of a security van driver implicated in an unsolved £1.2 million heist turns up in a shallow grave two years later it’s just the beginning for Detective Inspector Charlotte Granger. She embarks on an investigation that takes her into dangerous territory – a world of dirty cops, dodgy private investigators, local villains and nosy journalists. 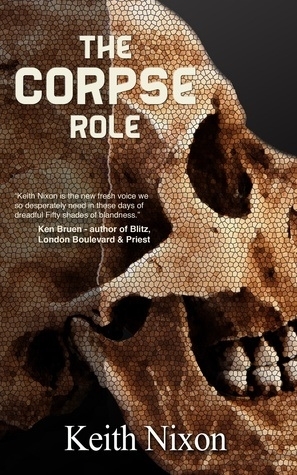 Meanwhile events from Granger’s own past are threatening to come back and haunt her..
Really terrific crime fiction from Keith Nixon – I basically read it in a day, bit of a page turner, some great characters and an authentic and hard hitting storyline. Told in two timelines, brilliantly constructed and ever engaging, there is a beautiful flow to the prose that keeps you hooked right in, some twisty turny goodness and a jaw dropping ending. Some really excellent plotting adds extra depth to both characters and storytelling, the past element being really most addictive – this is a crime thriller with heart, a mix of police procedural and thriller with intelligent storytelling and a sometimes almost noir feel. You’ll note I havent said too much on the tale itself. For very good reason. Go find out!